You can come to our island, summer or winter , simply by taking Ferry Boat or flying dolphin, which have as a starting line Bolos, Agios Konstantinos and Thessaloniki. The duration of the trip from Bolos adn Agios Konstantinos is approximately 2 hours and from Thessaloniki approximately 2 hours and 45 minutes. There is also daily connection with the other islands of North Sporades , Skiathos and Alonisos. You cal also reach the island through the airport of Skiathos and as a starting line the airport of Athens , Spata ( https://www.olympicair.com ) . Then you can take the flying dolphin and come to Skopelos. 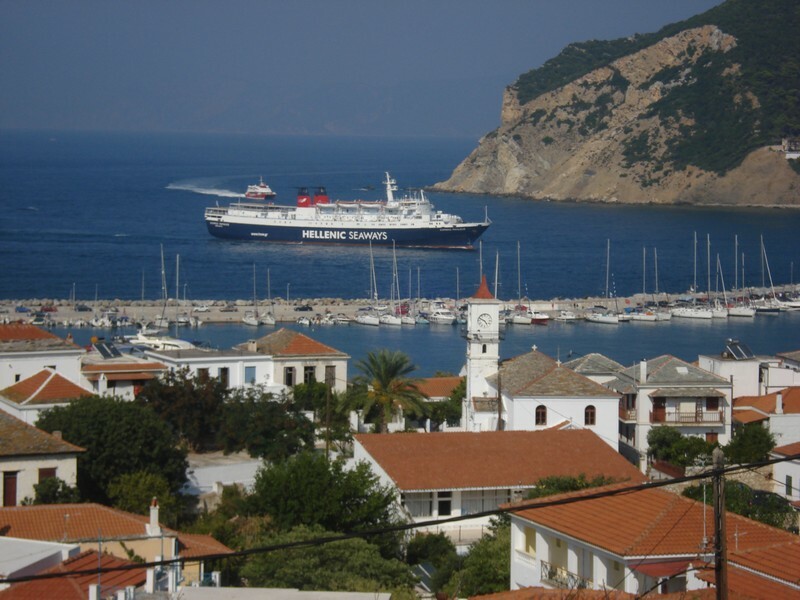 The island has three ports, Skopelos , Agnontas and Loutraki.